Show the world fruits and veggies know how to party! We’ve pulled together a list of produce-forward healthy party snacks that look stunning, taste amazing, and offer health benefits. 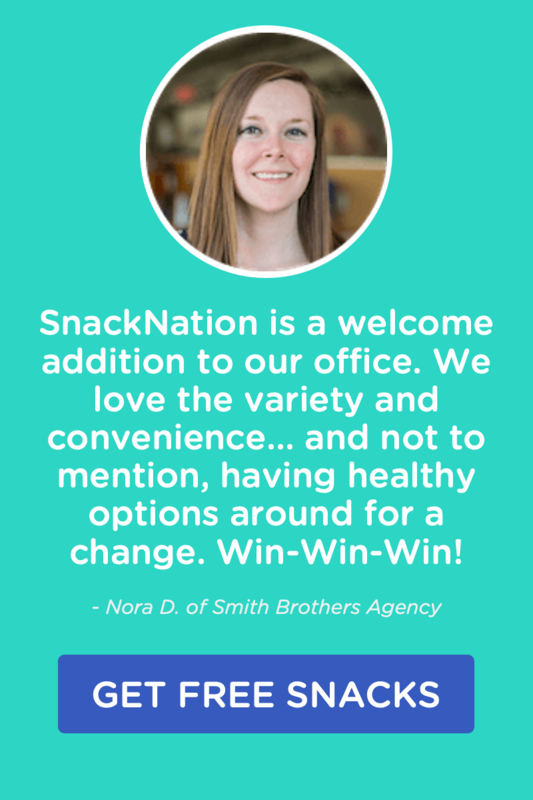 Explore both savory and sweet options below to plan your party menu…or figure out the perfect snack for the office party. We’re all accustomed to the typical party foods, finger foods that please the palate but do little in the way of nutrition. These healthy snacks prove you can party and have good nutrition. They might even change the way you think about party snacks. After all, you should be able to eat party food and not feel guilty the next day. Prepare any of these healthy party snacks, and everyone will feel good during—and long after—the party. No party-goer can resist a welcoming bowl of tzatziki. 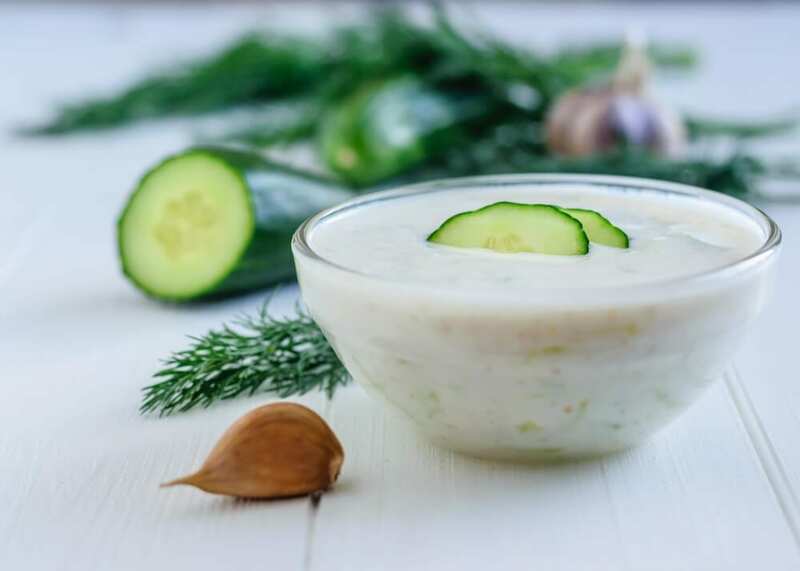 Just imagine what your guests will say when you tell them this particular tzatziki is friendly to both ketogenic and paleo diets. This recipe swaps in coconut cream for the yogurt usually found in classic recipes. Prep time: About 15 minutes of active preparation, but please note you’ll need to refrigerate this mixture overnight. Presentation/styling tips: Serve the dip in a coconut shell to hint at the key ingredient in the recipe. Toast rustic bread and top it with a rich mixture of roasted zucchini, lemon pepper, ricotta, shallots, and other drool-worthy ingredients. This healthy party snack will delight guests who were expecting an average bruschetta. Prepare this recipe with a whole-wheat baguette to make mini toasts for a crowd. Presentation/styling tips: Serve the toasts on a pizza peel (the kind with a handle) to make the treats easy to pass around. This bright green and red salad will please any crowd. Big chunks of fresh fruits and vegetables make this salad easy to eat. Plus, the mix of colors and textures adds a bit of extra elegance to the party salad concept. Presentation/styling tips: Serve the salad in a transparent vase to play up the plant-based nature of this snack. 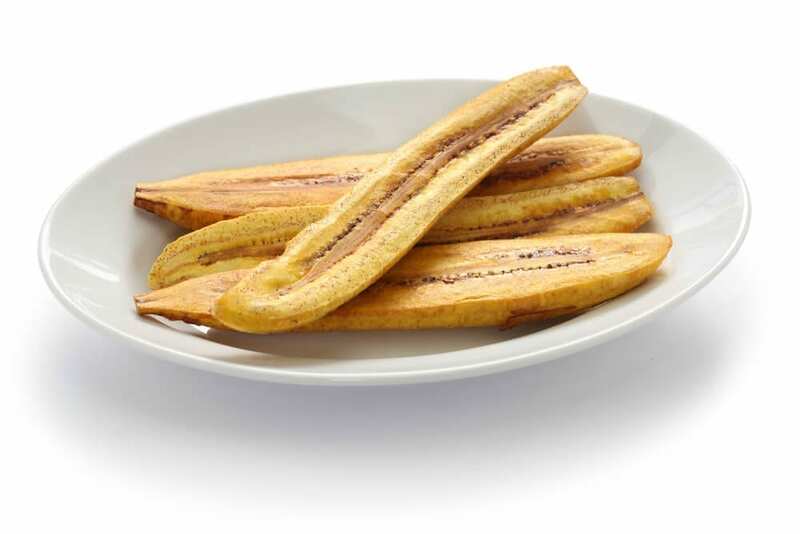 Peeled and sliced plantains turn into a stand-alone party snack when you roast them to bring out the natural sweetness. Sprinkle plantains with super-coarse sea salt to get a more savory take on the salted caramel flavors everyone loves. Roast plantains at 400 degrees Fahrenheit for 15 minutes on each side. Presentation/styling tips: Go the extra mile and turn your plantains into canoes you can stuff with black beans or any toppings of your choice. Stuff tofu ricotta into crisp, fresh mini peppers to make an easy, no-bake party snack that looks like it took a lot of time. Mini peppers come in orange, yellow, and red, so this snack can add a burst of color to any drab table. To make this snack, cut the tops off the peppers and remove the seeds. In a separate bowl, make your tofu ricotta by mashing a block of firm tofu together with salt, pepper, lemon juice, nutritional yeast, and green onions, shallots, or chives. Spoon the ricotta into the peppers. Lightly press the stuffing into the peppers to make sure it doesn’t fall out as you move around plates and platters. Barbecue jackfruit and fresh cabbage slaw pile on crisp sweet potato rounds to make a healthy party snack that tastes like fare from a casual country picnic. The meaty jackfruit will start quite a few conversations as guests try to figure out what they’re eating. Presentation/styling tips: Place each slider in a premium cupcake liner to make this snack easy for guests to grab and enjoy. Hearty artichokes bring new elegance to the idea of the finger food. They have the breading and crisp textures everyone expects, but they also have good-for you nutrients and a nuanced flavor absent in any french fry. Presentation/styling tips: Line recycled coffee cans in parchment paper and arrange the fries vertically. If the fries aren’t peeking out from the top of the can, place a crumpled up ball of aluminum foil in the bottom of the can before you add the parchment paper. These crowd-pleasing vegan sliders turn brussels sprouts into buns for tempeh. Even guests who hated brussels sprouts as children will give into the charms of this conversation-starting snack. Create party-ready snack squares by layering veggies and other wholesome ingredients in a casserole dish. Bake everything and then slice the resulting omelet into squares…or any other shape of your choosing. Zucchini, potato, milk, and eggs work together to make this party snack so warm, comforting, and healthy, you might just want to eat it for breakfast every day. Presentation/styling tips: Use a small biscuit cutter to easily cut your casserole into delicate, bite-sized circles. 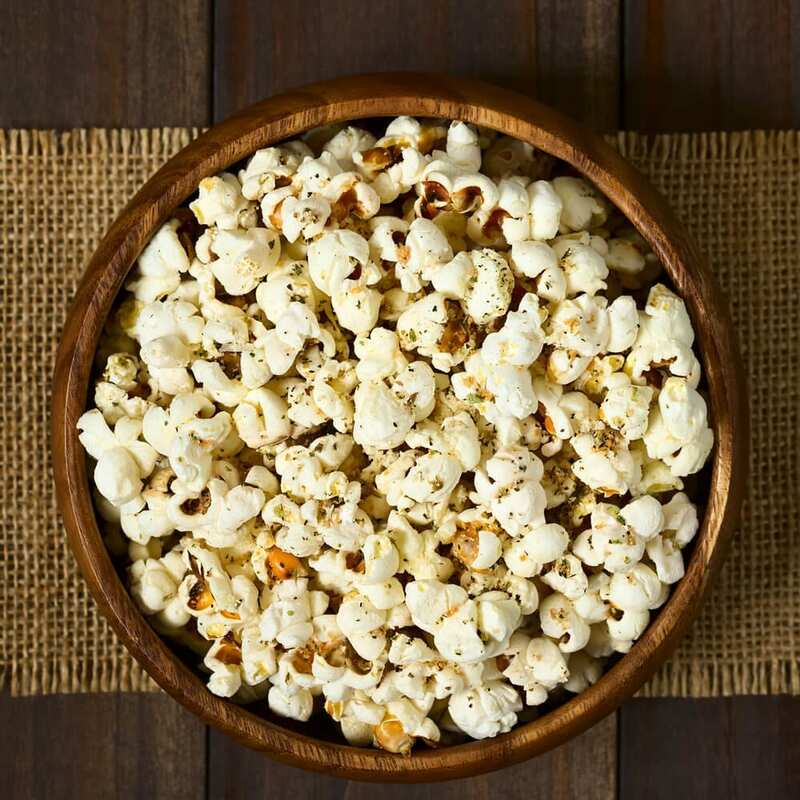 With a little creativity, popcorn—the easiest healthy party snack ever—takes on new dimensions fit for any kind of gathering. A simple internet search yields tons of amazing flavor ideas. Flavor popcorn with mustard to create a snack for the company picnic, or try gruyere, dried porcini mushrooms, and fresh parsley for an elegant office happy hour crowd-pleaser. Presentation/styling tips: Serve one-cup servings of the popcorn in mismatched coffee mugs and tea cups to create a cozy, welcoming vibe. Since its invention in 1957, “pigs in a blanket” has been a beloved staple at party buffets. We don’t want to destroy a classic party tradition, but we think a makeover is in order. Try putting veggies (any veggies!) in a blanket to make this party snack healthy enough to enjoy without guilt. Karissa’s Vegan Kitchen uses marinated baby carrots. You can experiment with asparagus, squash fingers, sweet potatoes, green beans, and more. Prep time: About 30 minutes of active preparation, but please note you’ll need to marinate your veggies overnight. Presentation/styling tips: Arrange one appetizer on every square of a (clean) chess or checker board. This popcorn okra has a funny tendency to disappear. Presentation/styling tips: Purchase a few brand-new painting palettes with wells. Use the palettes to display the okra. Cut a butternut squash in half. Drizzle each side with liquid smoke and sprinkle on salt and paprika. Bake squash, face side up, for about 40 minutes at 400 degrees Fahrenheit. Check the squash; the flesh should be tender enough to pierce with a fork, but it should also offer some resistance. When the squash has cooked to a texture you like, remove it from the oven and let it cool. Once the squash has cooled, use a melon baller to create snackable squash balls. These fruit bites will please the inner child hiding in all your guests. The bites have no added sugar; they’re made with pear puree, apple puree, strawberry puree, and natural flavors—no embellishment necessary. Presentation/styling tips: Arrange a bunch of the pouches in a decorative loaf pan. This recipe uses balsamic vinegar to balance the sweetness of fruit salad. The fruity mixture gets even more indulgent spooned over creamy avocado halves. Bitter vinegar, sweet fruit, and smooth avocado create a flavor combination that’s unexpected as well as impressive. Presentation/styling tips: Serve the avocado halves on a deep tray filled with dried black beans. Nestle the avocados into the beans to keep them from rolling around. The heritage of the trifle dates back to the 1700s. At least that’s when experts believe cake, alcohol, and custard first jumbled together in a trifle bowl. This sweet treat may be old, but it’s not governed by an unbreakable set of rules. You can layer practically anything together and call it a trifle. That’s why we thought this anything-goes sweet party snack was practically begging for a healthy makeover. You can create a variety of variations of the trifle using the combinations below. Add layers to your trifle dish (or any dish of your choice) in order and repeat until the dish is full or you run out of ingredients. Layer 1: Instead of sponge cake, try quinoa, oatmeal, farina, coconut chunks, dates, or cashews. Layer 2: Instead of rich sauce, try rose water, maple water, date syrup, molasses, dried fruit, or fresh fruit. Layer 3: Instead of pastry cream, try nut or seed butter, naturally sweetened jam, or honey. Layer 4: Instead of whipped cream, try yogurt, sliced bananas, avocado, puffed millet, or coconut cream. 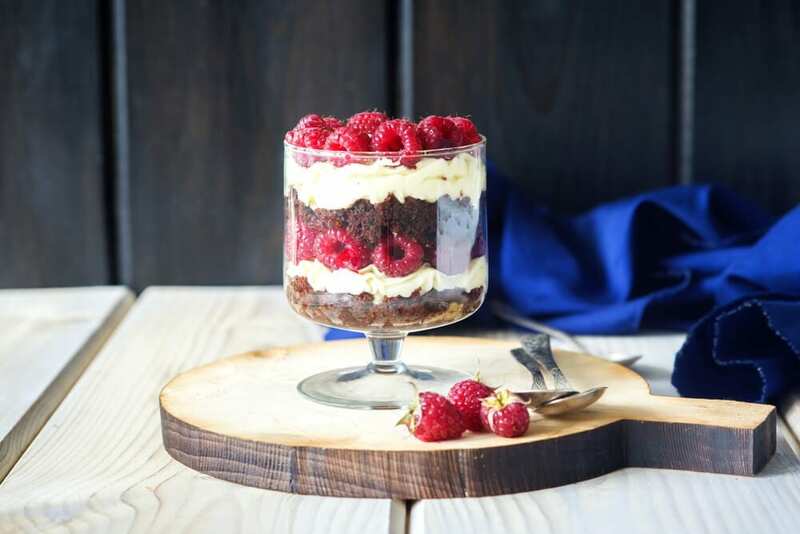 Presentation/styling tips: Build your trifle in round wine glasses to make beautiful, ready-to-grab servings. These fruit-filled strips give party guests a dose of vitamin C.
Presentation/styling tips: Unwrap the strips and place them on a cutting board. Use a pizza slicer to cut the strips into a bunch of different triangular- and square-shaped pieces. Arrange the pieces on a serving tray in a mosaic design. Toast up some rustic whole-grain bread and top it with a mixture of ricotta and dark, sweet cherries. Serving sweet fruit with mild ricotta and hearty bread tones down the overall sweetness of this healthy party snack. Presentation/styling tips: Serve this snack on a bed of lacinato kale. The dark green leaves will make the deep red of the cherries pop. Spread creamy, unflavored goat cheese over whole-wheat tortillas. Drizzle the pizzas with honey and press some slivered almonds into the cheese. Now press fresh blueberries into the cheese, spacing them out as you would slices of pepperoni. Slice each pizza into triangles and serve. Presentation/styling tips: Arrange the triangle slices with your go-to fruit and cheese platter. Transform the go-to snacks you keep at your desk into a crowd-pleasing healthy party snack. Guests will love the surprising combination of rich tahini, sweet dates, and rich chocolate. Presentation/styling tips: Serve these treats in an empty truffle box. Bonus points if it’s the heart-shaped kind from Valentine’s day. Pour champagne, or a non-alcoholic sparkling beverage of your choice, over fresh raspberries, strawberries, blueberries, or blackberries. Let the mixture marinate overnight. Spoon the fruit into serving dishes, and you’re ready to roll. Save any fruit-infused liquids for making cocktails or mocktails. Prep time: About 5 minutes, but please note you’ll need to refrigerate this mixture overnight. Presentation/styling tips: Serve the fruit in champagne flutes. To make this sweet party treat, pretend your apples are pumpkins. Slice off the tops and scoop out some, but not all, of the fruit inside. (Be sure to remove all the seeds.) Sprinkle the apples with cinnamon and bake at 375 degrees fahrenheit for about 20 minutes. 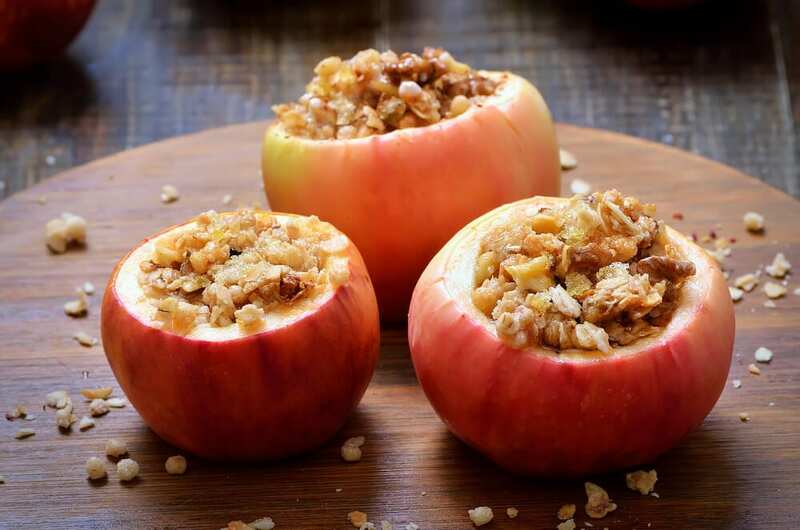 Remove the apples and fill each with the granola. Bake for another 20 minutes. Juices from the apple will soften the granola and make the flavors of both ingredients meld beautifully. Presentation/styling tips: Create a rustic display by serving the apples in a shallow wooden crate. Impress party guests with homemade fruit-filled candy. No one ever needs to know these treats are easy to make. Spray a flexible ice cube tray with plenty of healthy cooking oil. Put a spoonful of melted carob chips into each cube and top with a raspberry (fresh of frozen). Top everything with a spoonful of almond butter. Keep the treats in the freezer until the party starts. These healthy treats should disappear before they even start melting. Prep time: About 10 minutes, but please note you need to allow time to freeze the treats. Presentation/styling tips: Arrange the treats on a metal tray. Keep the tray in the freezer until the last minute. This should delay melting, but luckily, these treats will be best slightly thawed. 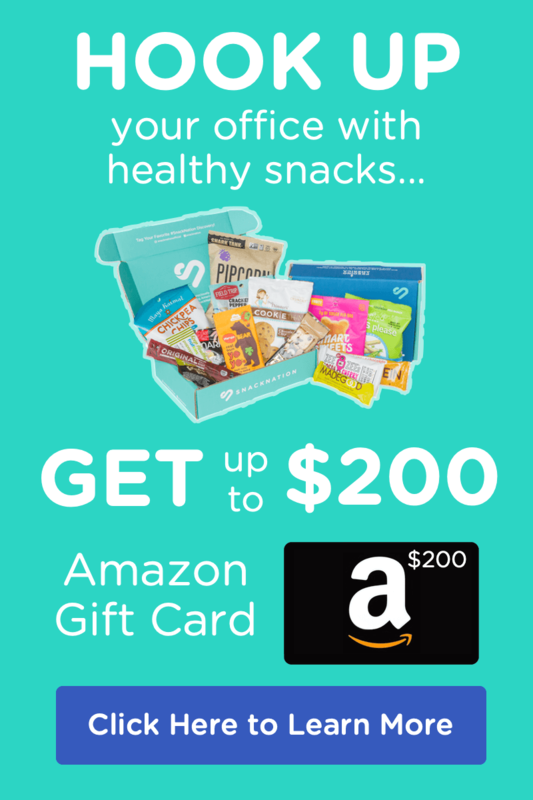 What’s the most amazing healthy party snack you’ve ever tasted? Relive the flavor experience by sharing a comment below.